Easy, Beautiful, Tasty Summer Eating! 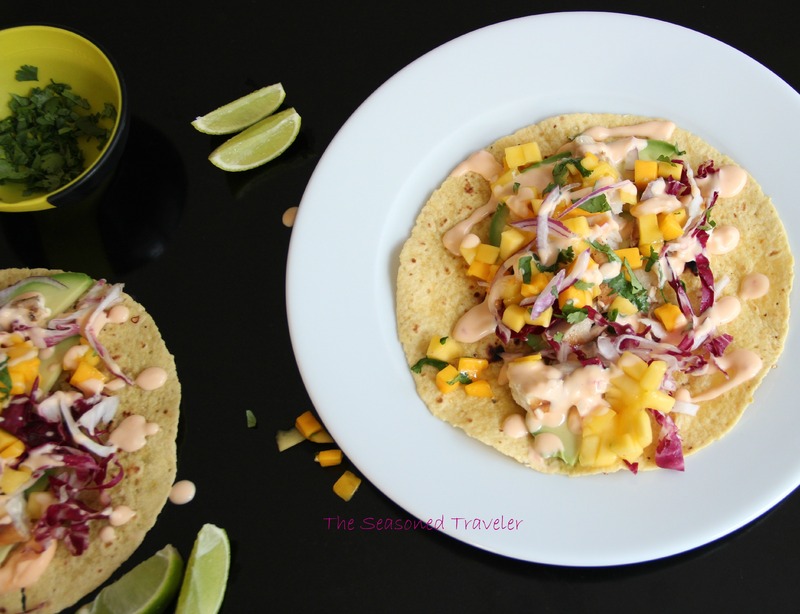 Psyched to see that Food52 chose my Mahi Mahi and Avocado Tacos with Mango-Cilantro Salsa recipe as a Community Pick! Check out the recipe and beautiful photo by Mark Weinberg, plus a Food52 review, here. Cheers to summer feasting! Categories: Dinner, Lunch | Tags: Avocado, community pick, contest, easy, Fish, Food52, Mahi Mahi, Mango, Mayo, sambal, Summer, Taco | Permalink. Categories: Dinner | Tags: Branzino, Dorade, Fish, Herb, Lemon, Mediterranean, Recipe, Roasting, Salt, Salt-Roasted, Thyme, Whole Fish | Permalink. 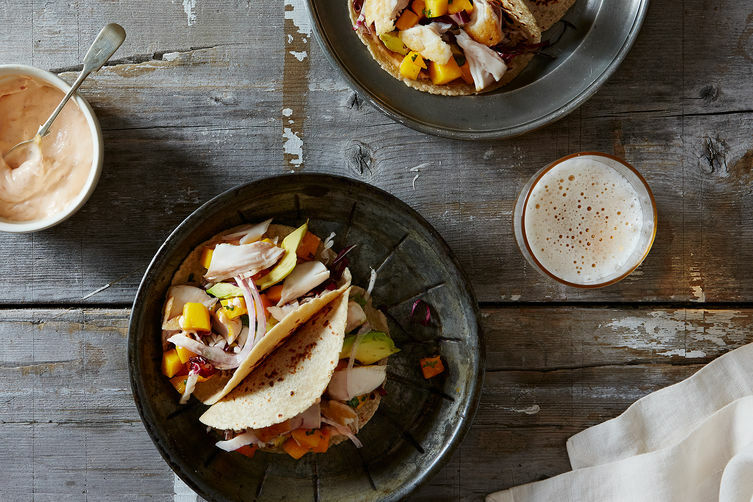 Our family doesn’t have a regular taco night, but we’re thinking of starting one after having these. Just look at all those colors and textures on the plate — the slightly spicy and zesty mayo drizzled over pan-seared mahi mahi, a bright mango-cilantro salsa, some crisp red onion and raddichio and soft slices of avocado. Playful, flavorful and healthful, these make a great quick meal for a summer evening with family. Categories: Dinner, Lunch | Tags: Avocado, Cilantro, Fish, Food, Hawaii, Lime, Mahi Mahi, Mango, Mexico, Recipe, Red Onion, Sambal Oelek, Summer, Taco | Permalink. 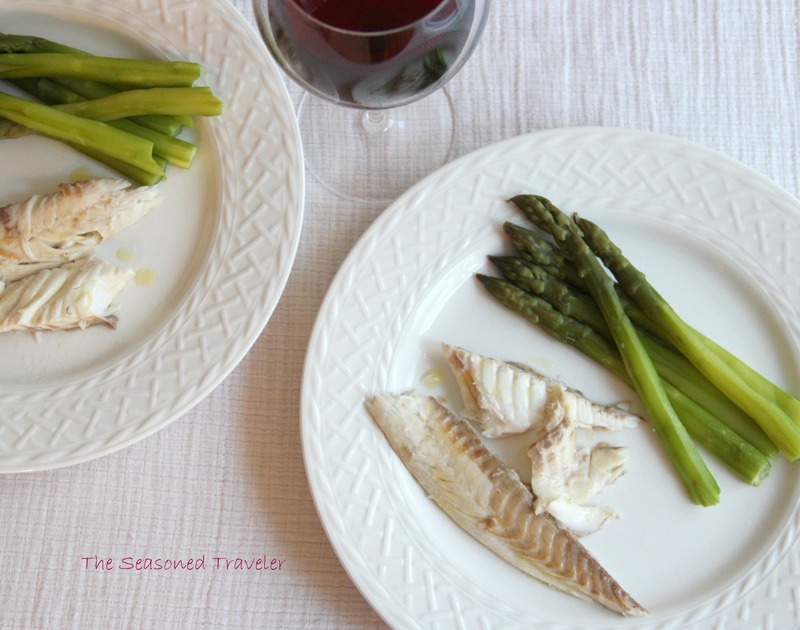 I first tasted branzino, a fish from the Mediterranean, while in Croatia on the Dalmatian coast. Delicate, flavorful and mild, it is one of my favorites. 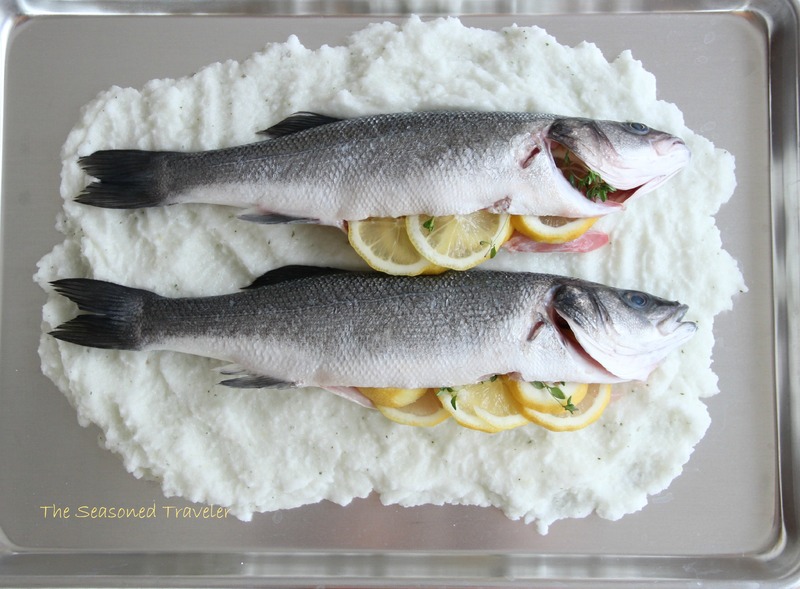 I’ve seen branzino even in U.S. grocery stores; it is sometimes labeled simply as “sea bass,” but if it is from the Mediterranean and small and slender in shape, it is likely branzino. You might also find it under the French name loup de mer or the German wolfsbarsch. We don’t have a huge variety of fresh fish here in Berlin, so when I saw these branzino, I knew what we were having for dinner! Categories: Dinner | Tags: Branzino, Croatia, Dalmatian, Dorade, Fish, Food, Herb, Lemon, Mediterranean, Oven, Recipe, Roasted, Salt, Thyme | Permalink. Categories: Dinner, Uncategorized | Tags: American Heart Association, dinner, Fish, Ginger, Healthy, Heart Disease, Japan, Japanese, Mayo Clinic, Mirin, Oven-Baked, Quick, Salmon, Soy Sauce, Weeknight | Permalink.